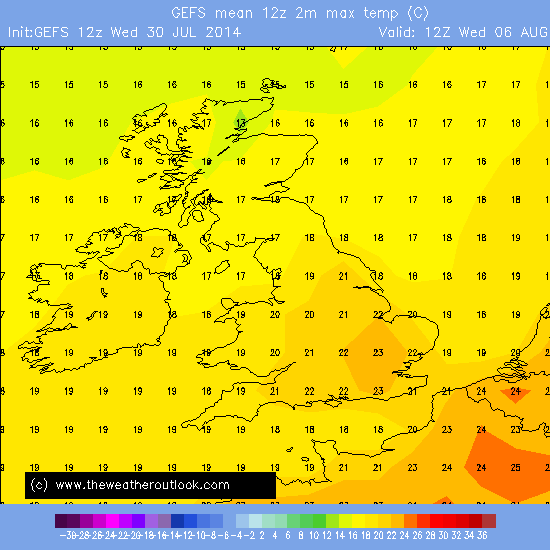 Tonight's GEFS 12z mean shows the best of the weather during the next few weeks across the south & east of england with temperatures generally into the low to mid 70's F, occasionally closer to 80F in the southeast. 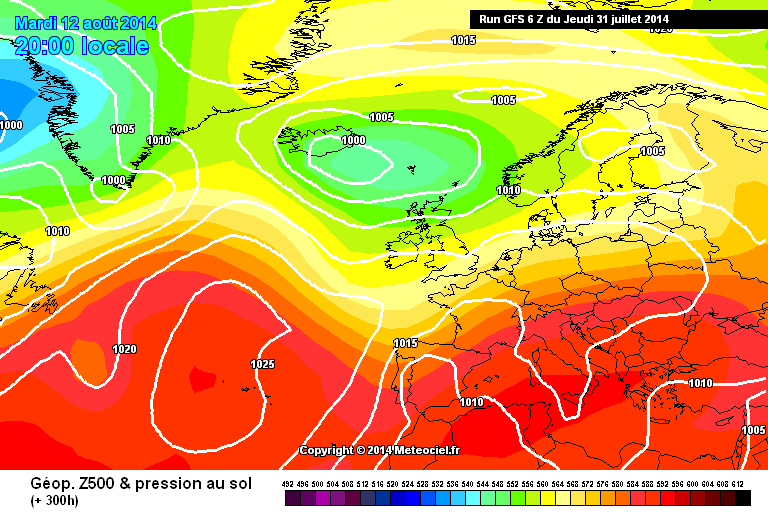 The reason for this is the azores anticyclone extending a ridge towards the southeast, especially from around T+168 hours, by far the most unsettled, coolest and windiest weather will be across the northwest of the BI with lo pressure in control but for a time, it looks like we will all have a more unsettled spell than for some time with a showery trough on top of the uk this weekend bringing a mixture of sunshine and showers, some heavy and thundery, merging into longer periods of rain but then it looks like a gradually improving picture towards the south and east with more in the way of dry, warm and sunny weather as pressure rises somewhat and +10 T850 hPa always close to the south bringing surface temperatures in the region of 25 celsius, lower heights persisting to the north west of the BI so any settled weather will be at a premium up there with more in the way of atlantic weather with rain interspersed by clearer, showery weather. 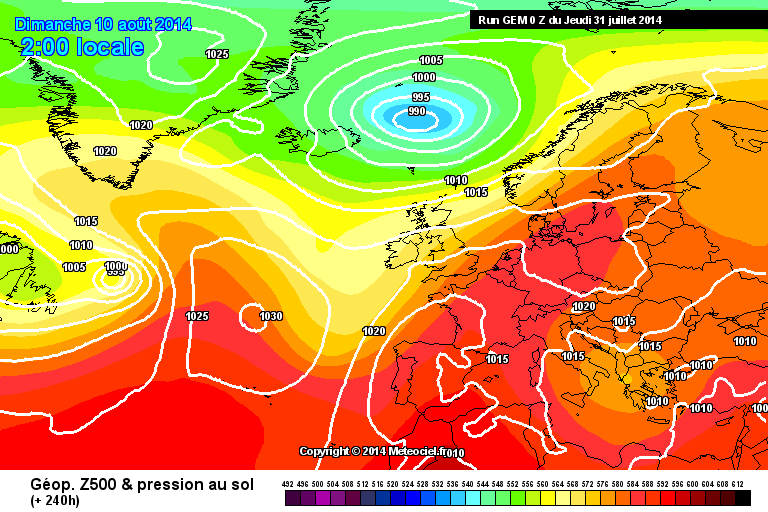 A very encouraging last few frames on tonight's Ecm 12z op run following several days of generally unsettled weather, low pressure slowly fills and spins away northwestwards with high pressure gradually building in across the uk from the southwest and then transferring just to our east which would ultimately enable very warm / hot continental air to spill into the south of the uk before pushing further north during early / mid august..fingers crossed..this also ties in with the gradually improving GEFS 12z mean. 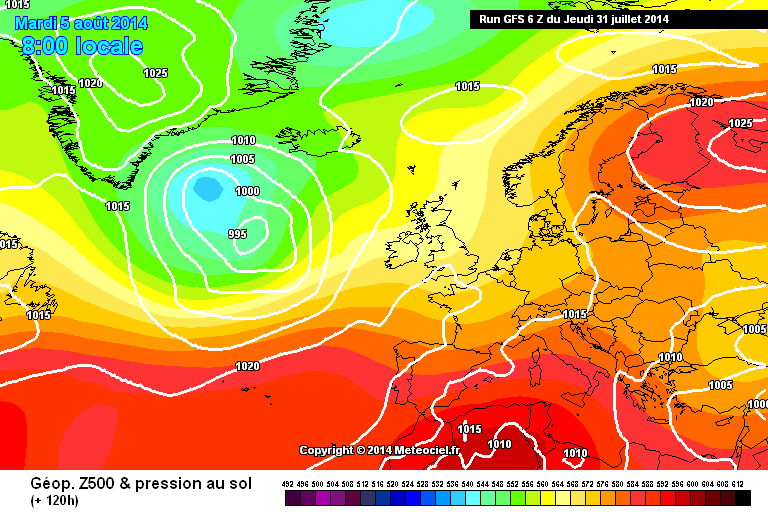 Let's hope we have more very summery continental type weather during the final third of this meteorological summer which has already been very decent..more please. Edited July 30, 2014 by Frosty. Nice to see you back on the thread. Good summary. It's sort of one of those set-ups where anyone could get the Summer weather they want. Possibility of storm fans getting some thundery weather, rain fans getting some longer spells of wet weather, windy fans getting their spells of gusty weather (with this clearly looking the most likely towards the North-West, as you say), and the sunshine fans still getting their spells of sunny weather. Also something their for the warm and cool spell fans as well. Even though the 12Z GFS doesn't look as encouraging for pressure rises to the South and South-East than the 06Z GFS did, it does still look likely that the South-East will still hold on to the generally less disturbed weather with the Low(s) bearing less power in that area. 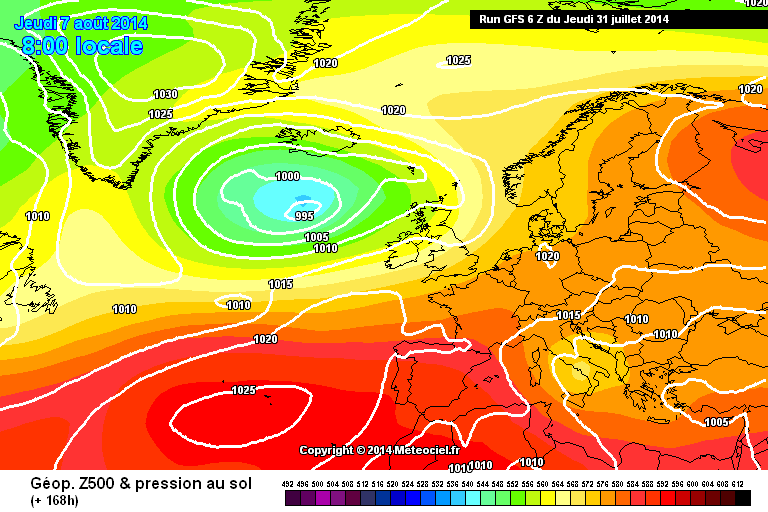 One aspect I find quite interesting is how the ECMWF is continuing to be keen to want to try and drag High Pressure up towards the UK in FI, (though I suspect its 12Z run has probably overdone it tonight by quickly pushing it to the East of the UK. 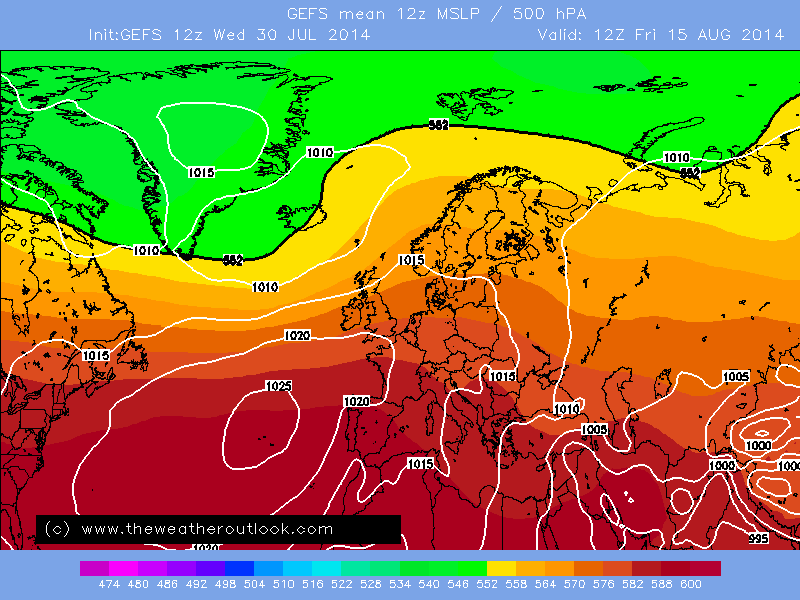 But then again, perhaps quite plausible I suppose - its Lows to the West and North-West looking a little less aggressive than those on the 12Z GFS, and probably helping to allow High Pressure to build further North-East). Plus, you mentioned that the GEFS ensemble mean showed ridging influencing the South-East, so could be possible that the 12Z GFS operational run is having a little wobble tonight by making those Lows to the West/North-West a little too invasive for later next week. 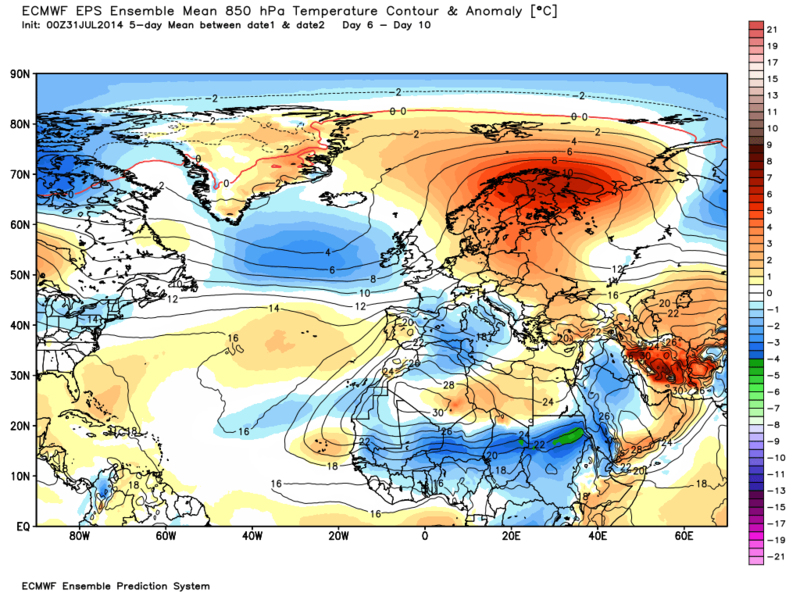 If I perhaps had to be really objective about that anomaly chart, I would perhaps say that the lower anomalies to our West could do with being concentrated slightly further North to provide a higher chance of higher anomalies appearing to the South, or South-East. As it stands, anyway, it still gives that possible impression of a West to East, or North-West to South-East, split. I know I've probably focused too much on FI, to be honest, and I imagine there would still be lots of adjustments made to this pattern and seeing how influential the ridging from the Azores high can get. 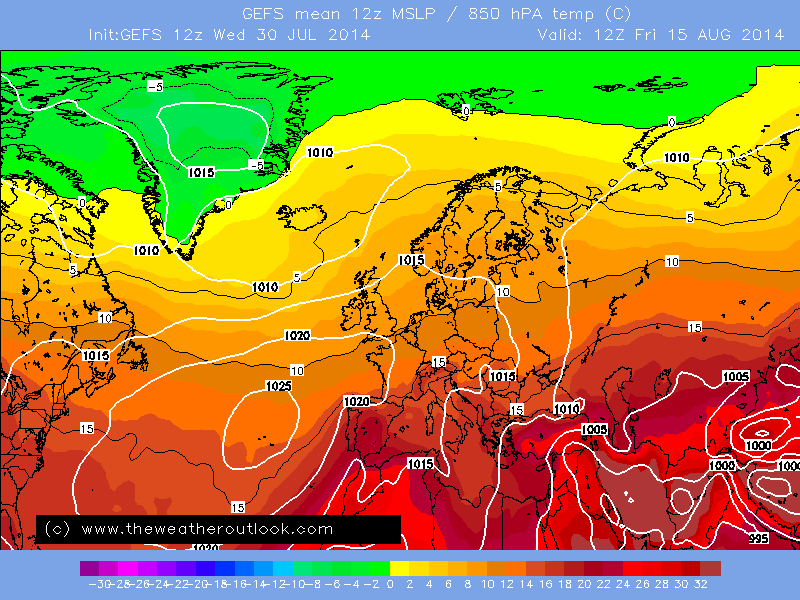 What does seem certain is that there's sure going to be a lot of eventful weather for the various weather fans to look forward to in the next few days or so! Within the context of this summer's repeating patterns, this upcoming two weeks certainly looks to be a bit more varied on the theme. 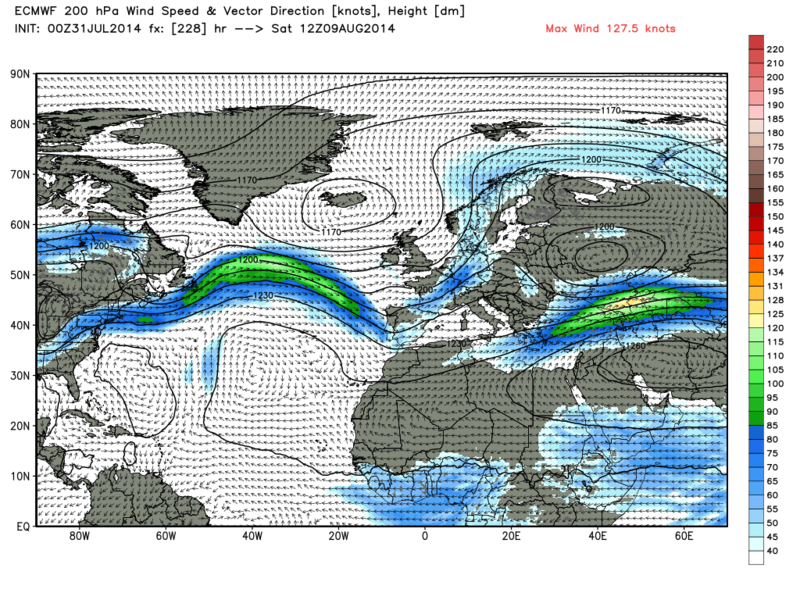 We appear to be further west in the envelope and closer to the lw upper trough. 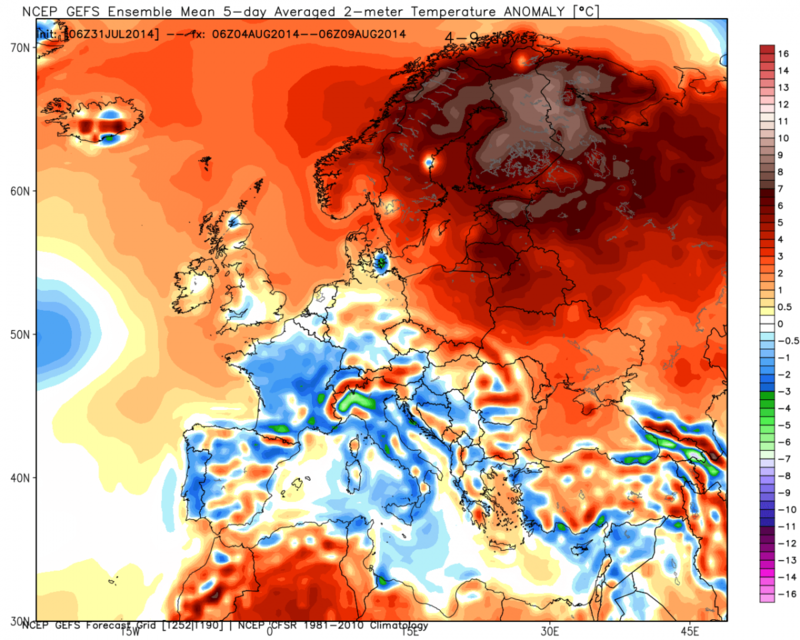 Time for further retrogression and greater trough disruption! Possibly. 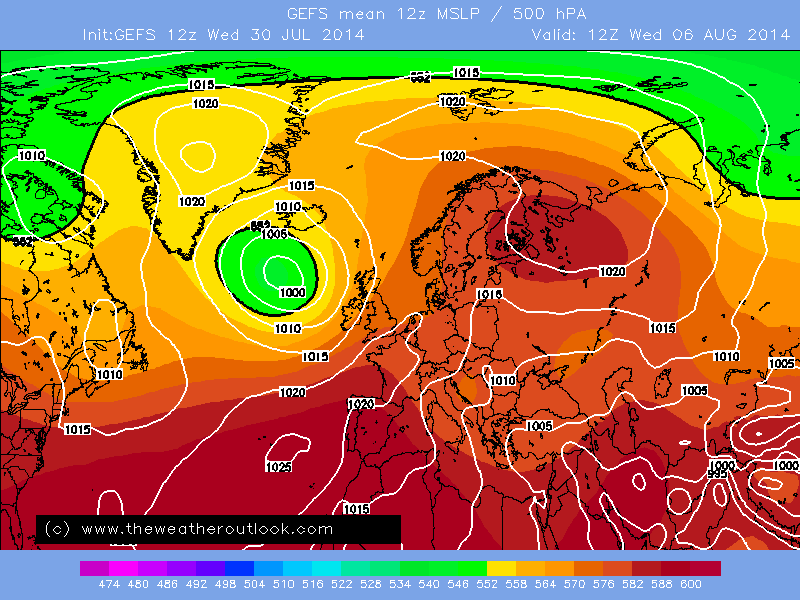 Another unsettled and wet run from the GFS from the West out into FI, As BA says it'l be interest over the coming days just how dominant the Atlantic will be as the new Month enfolds. 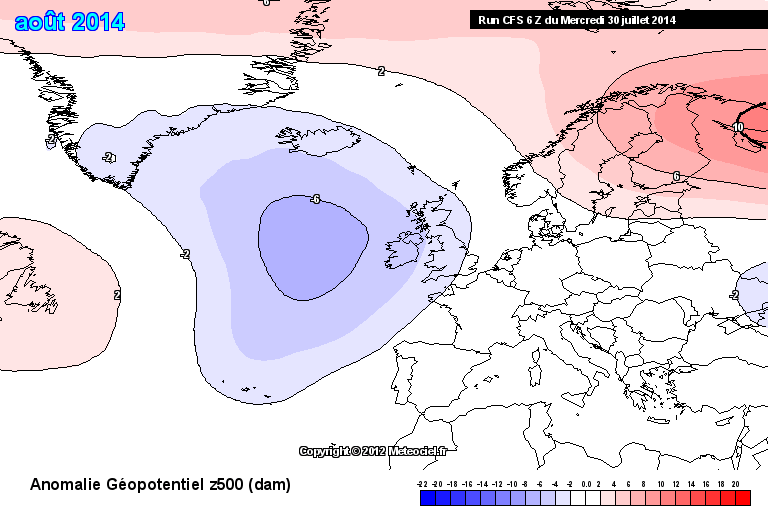 While the models certainly seem to be pointing towards a period of unsettled weather into the first couple of weeks of August, I certainly wouldn't be banking on it, such as been the tendency for modelled weather patterns to shift in relatively short time frames this year.That said, the chances for any respite from what would only be average summer conditions as opposed to poor weather are undoubtedly higher the further south and east in the UK one finds themselves. So it's not a particularly good time to be travelling from the south and east of the UK to holiday in the south and west of Ireland! 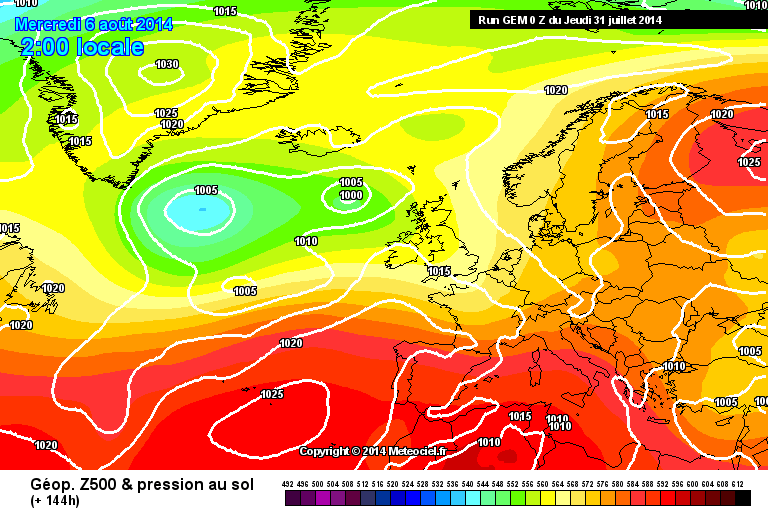 for the near time frames watching how the Fax charts have moved more towards an unsettled spell it is quite clear the Met feel the prob of the high to east being the main feature into and the other side of the weekend have diminished. 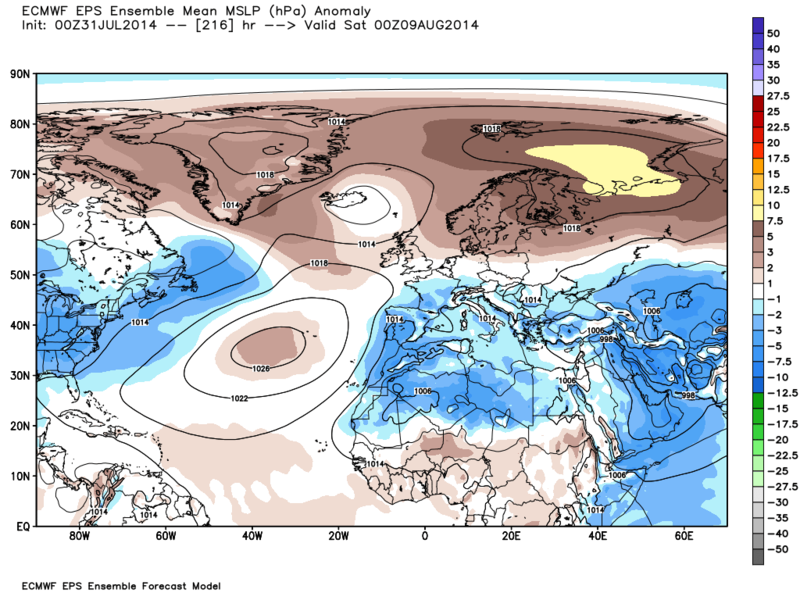 As for further out then the anomaly charts are solid in their pattern. Yes of course , and my post will look very different to yours , that's because iv focused on one run. 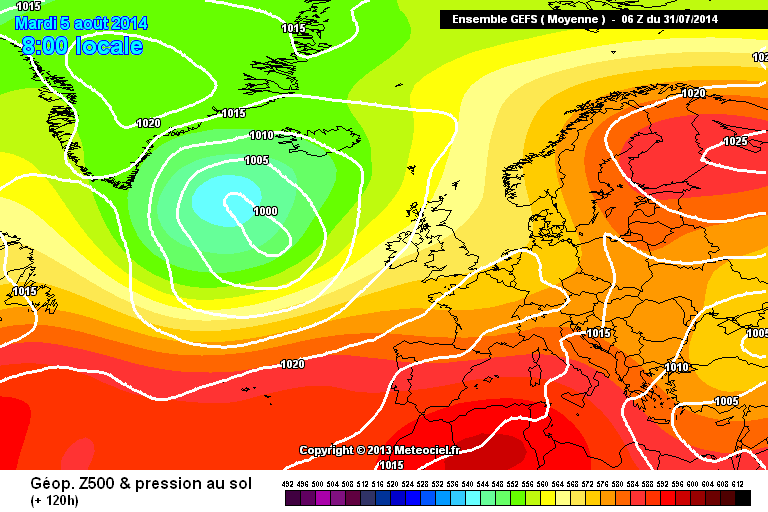 So yes we have to say the gfs 0z looks wrong , but time will tell I suppose if it's s new trend or a one off , but the ensembles tend to agree that pressure will be on the rise next week . 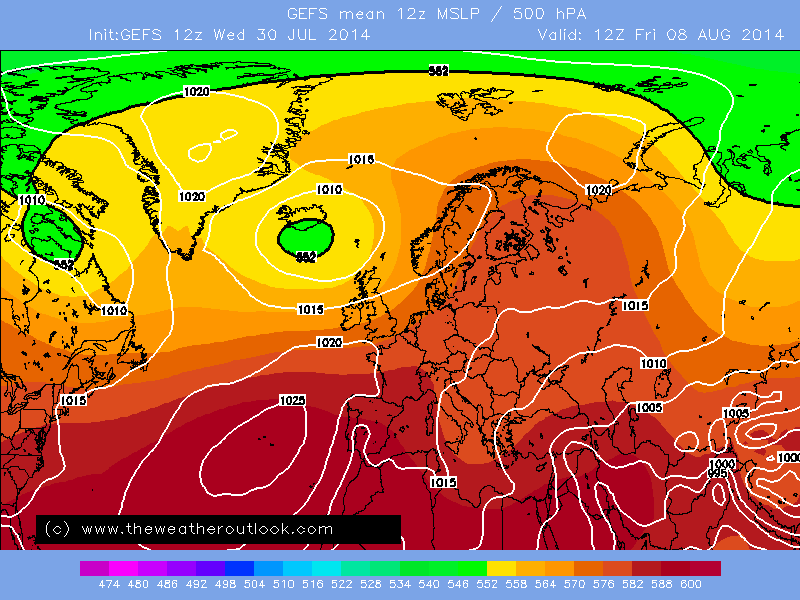 Yes, not looking as unsettled next week now, temps don't look to shabby either with mid 20's possible on most day's next week. 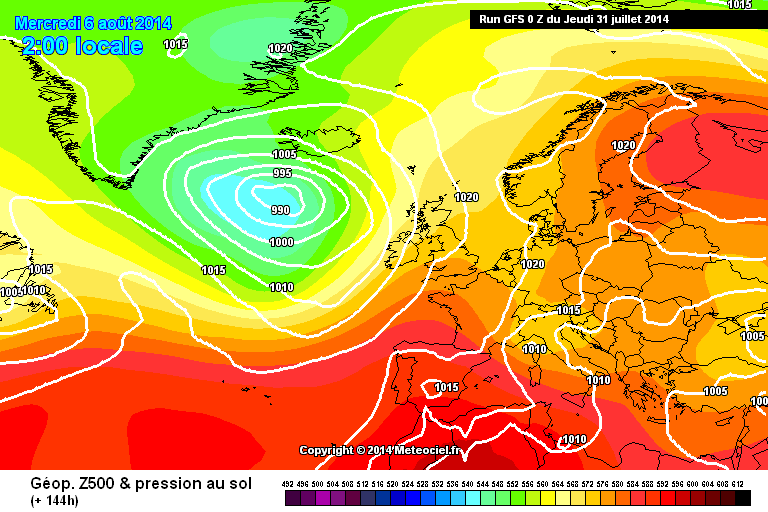 Great looking charts again for most in the south of England. Your great summer continues down there. 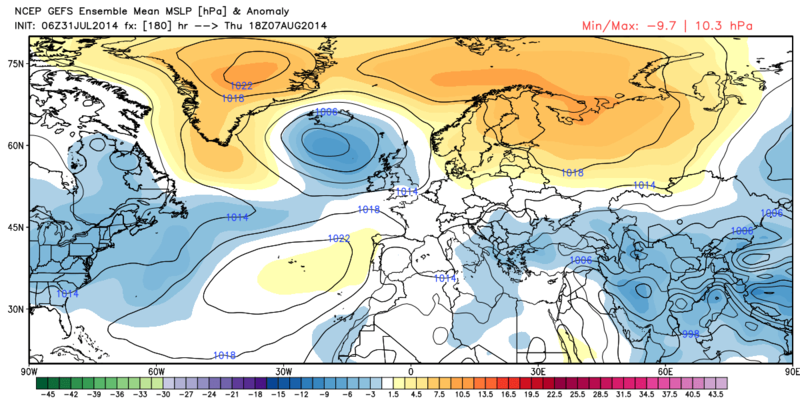 The Azores high, again having a influence in the weather. 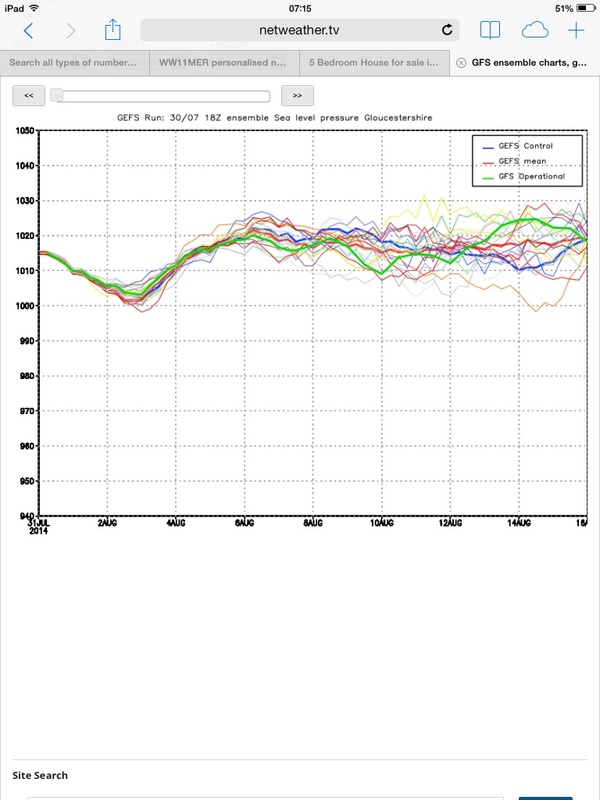 Not saying that the 0z from the GFS is wrong but it is at the most optimistic for a pressure rise throughout itâ€™s run. Again at D5 there were 4 clusters in the ECM and the op and control were in the 3rd highest cluster. 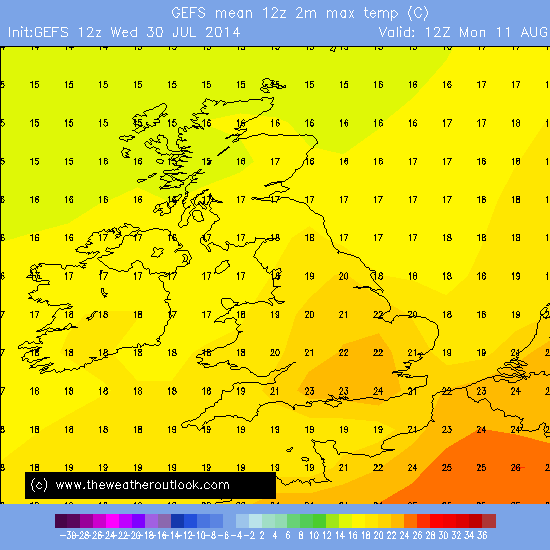 I think the GFS op is as unlikely as the GFS 12z from last night, something closer to GEM/ECM seems likely. 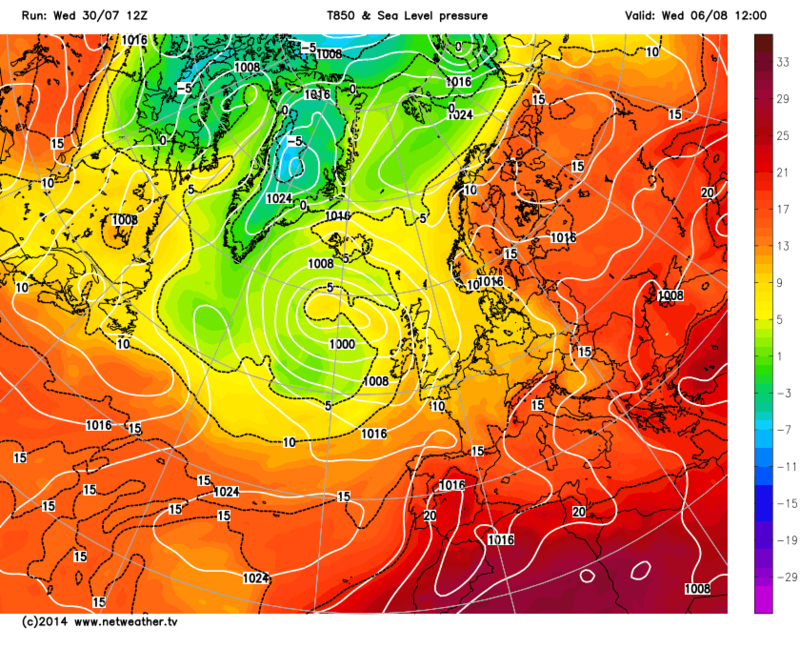 A double front across the country on Saturday, nowhere likely to avoid getting wet from that. 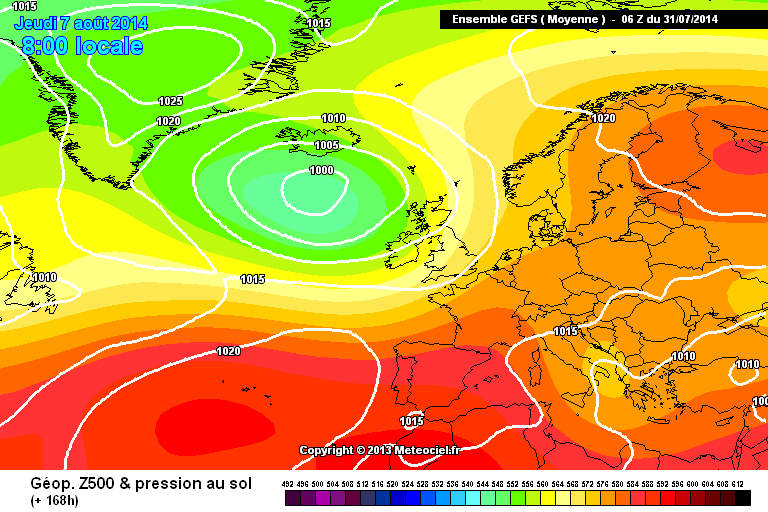 Excellent performance by all models wrt this weekend's weather, consistently modelled from D10.Next week still looking a NW/SE split, though ECM/UKMO hinting that the SE may join in the more unsettled weather for a brief period midweek - still uncertain though, and still plenty of suggestion that warm/very warm settled conditions may return soon. 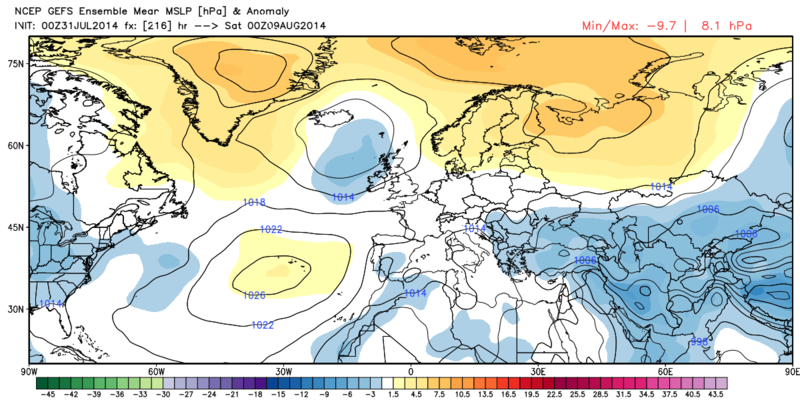 Looking at the GFS and ECM anomalies this morning still has the trough to the NW of the UK and little change overall. On the surface still giving a slack area of low pressure orientated towards the NW with perhaps more influence from the Azores high in the south although the jet stream might indicate some dampening of progress in this area. Temps around average although obviously warmer in the south. well we certainly have had a better summer this year!. but things a little more unsettled most models are still suggesting warmer humid air and high pressure passing through southern parts of southern england as lower pressure starts to move in from the nw but blocking still strong at times into scandi area with pressure at times trying to push blocks into southern greenland which if happens could bring south easterly flows which at this time of year can bring often warm humid air with lower heights situated over the uk bringing the threat of thundery outbreaks. 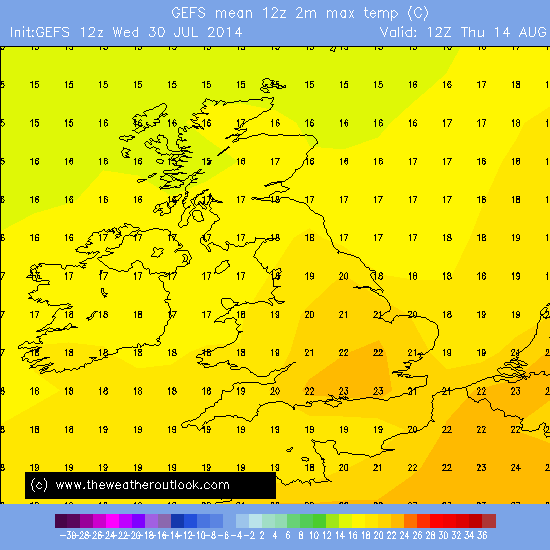 the weekend looks to be the wettest for sometime! 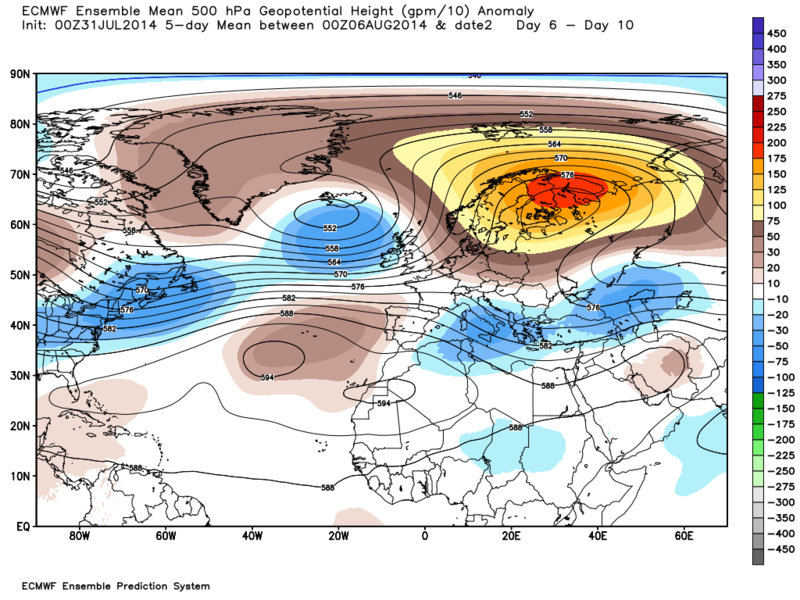 but the models are hinting at a scandi block and azores heights trying to establish itself although more time is needed. i think to be honest the likely outcome will be a continuation of what we have seen so far this summer. northern blocking has been fairly persistent this summer shame its summer because in winter we would be riding the mother of all roller coasters! 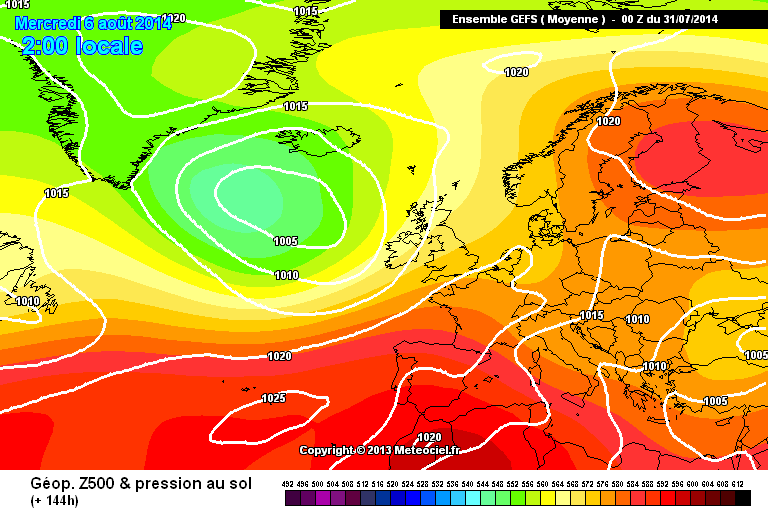 heres hoping for 09/10 as we head through summer and autumn. Looking at the ENS.  members at D5 for the ECM (here) it is clear that even at D5 there are lots of differences with the op only having support from 16 other members and in the lowest cluster of three. 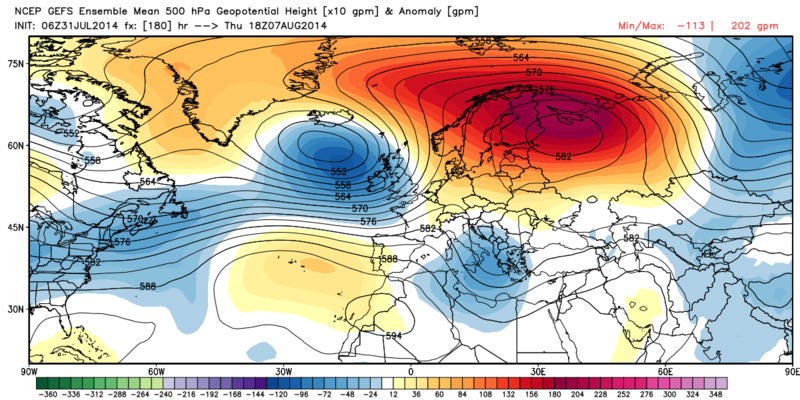 Out of interest Cluster 1 has the trough further east than the op. 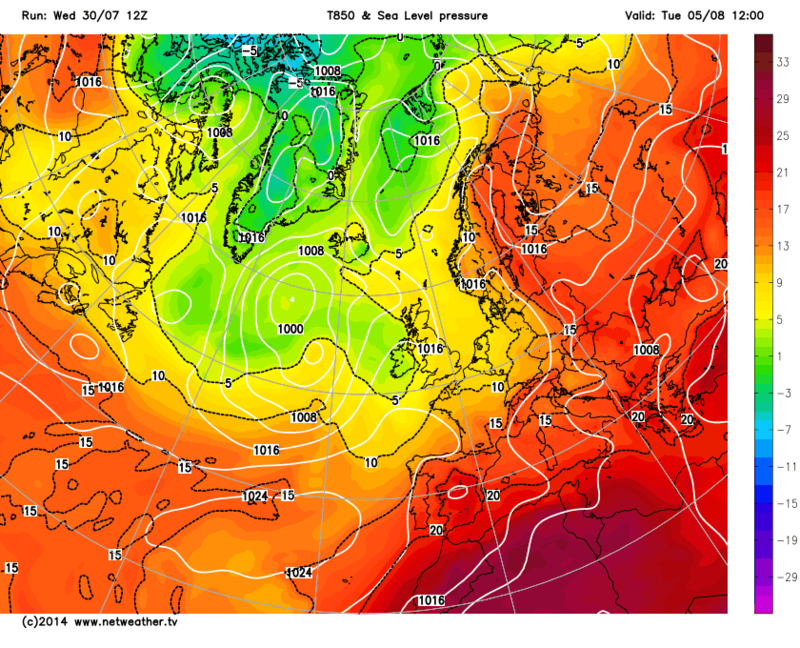 ...similar to GEM 0z late on. 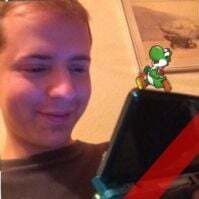 Edited July 31, 2014 by Frosty. 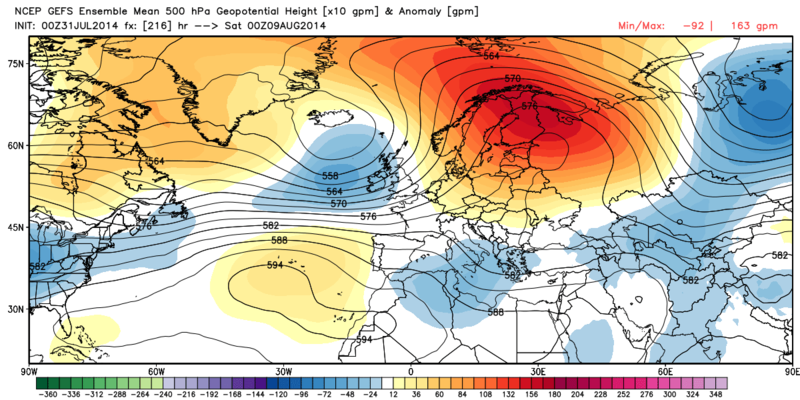 The midday GFS anomaly still has the upper low near Iceland giving still the slack area of low pressure over the UK at end of week. Temps about average for the five days. No point in detailed weather until the surface analysis is nailed down. You of all people should know that making predictions for an entire 31-day month when you haven't even started that month, based on a couple of (un)favourable runs is a fool's errand. 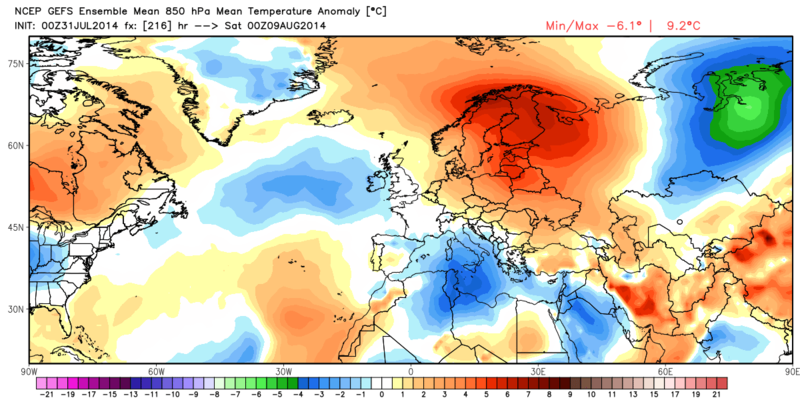 You more than anyone are always saying how unreliable the models can be at much shorter timescales than that! Closing this thread now so just hold off posting for a minute or so whilst i open a new one for August.